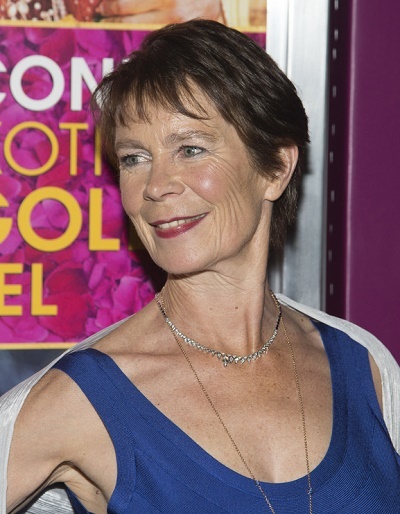 Place of Birth: Guildford, Surrey South Western, Surrey, England, U.K.
Celia Imrie is a British actress. She is the daughter of Diana Elizabeth Blois (Cator) and David Andrew Imrie, a radiologist. Her father was Scottish, from Glasgow. Her mother was English, and had English, and some Scottish and Northern Irish, ancestry. Celia has a son, actor Angus Imrie, with actor Benjamin Whitrow. Celia’s paternal grandfather was John James Imrie (the son of James Imrie and Margaret Mills). John was born in Glasgow. Celia’s paternal grandmother was Jane Kerr Pollock (the daughter of Robert Pollock and Eliza Smith). Robert was the son of David Pollock and Isabella Meldrum. Eliza was the daughter of James Smith. Celia’s maternal grandfather was Charles George Lumley Cator (the son of Charles Oliver Frederick Cator and Isabella Maria Baker). Celia’s grandfather Charles was born in Bromley, Greater London. Celia’s great-grandfather Charles was the son of The Rev. Thomas Cator and Louisa Frances Lumley-Saville. Isabella was the daughter of George Baker and Mary Isabella Sutton. Celia’s maternal grandmother was Adeline Louisa Blois (the daughter of John Ralph Blois and Eliza Ellen Chapman). John was the son of John Ralph Bois, a descendant of the Blois baronets, and of Eliza Knox Barrett. Celia’s great-grandmother Eliza Chapman was the daughter of Alfred Chapman and Caroline Macnaghten.